Donald Trump's public contemplation of picking ExxonMobil CEO Rex Tillerson to be U.S. Secretary of State raises a range of controversies, including Tillerson's dealmaking with Russia and close ties to Vladimir Putin. It also intensifies attention on ExxonMobil's escalating court battle with the attorneys general of New York and Massachusetts over the question of whether the company improperly concealed information about climate change. Just today, a federal judge in Texas, Ed Kinkeade, cancelled his controversial order directing the Massachusetts AG, Maura Healey, to come to his Dallas courtroom tomorrow morning to be questioned by ExxonMobil's lawyers. 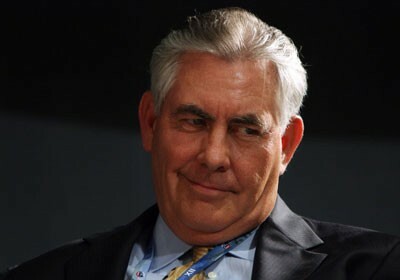 Investigative reporting in the past year demonstrated that Exxon scientists have known and had told Exxon management for decades that burning fossil fuels was heating up the planet. But rather than educate the public on the dangers and change its business strategy, Exxon instead spent millions supporting efforts to question and deny the science of climate change. There also are questions as to whether ExxonMobil has properly accounted for its oil reserves in the wake of global price drops and evidence of global warming. Responding to those reports and other evidence, New York attorney general Eric Schneiderman issued a subpoena to ExxonMobil in November 2015. ExxonMobil has produced more than 700,000 pages of documents to Schneiderman in response to his subpoena. On October 26, 2016, a New York judge ordered ExxonMobil and its auditor, PwC, to comply with a subpoena issued by Schneiderman seeking additional information regarding PwC's auditing of the oil company. A group of state attorneys general met in New York on March 29, 2016, and consulted with several outside lawyers and experts on climate change issues. Following the meeting, the AGs, along with former Vice President Al Gore, held a press conference under the banner "AGs United for Clean Power" and announced they had formed a coalition to investigate ExxonMobil's conduct. The coalition included the attorneys general of California, Connecticut, Illinois, Iowa, Maine, Maryland, Massachusetts, Minnesota, New Mexico, New York, Oregon, Rhode Island, Virginia, Vermont, Washington, the District Of Columbia, and the U.S. Virgin Islands. Soon after, in April 2016, Massachusetts attorney general Maura Healey issued a civil investigative demand (CID) to ExxonMobil. U.S. Virgin Islands attorney general Claude Walker issued a subpoena to the company the same month. ExxonMobil promptly sued Walker in Texas state court in Fort Worth to block the Virgin Islands subpoena. Then, on June 15, 2016, ExxonMobil sued Healey in federal court in Dallas to block her civil investigative demand. On June 29, Walker, facing expensive litigation against ExxonMobil's legal team, agreed to withdraw his subpoena, and Exxon dropped its suit. Walker said then that he planned to continue to investigate ExxonMobil and would keep his eye on Healey's effort. ExxonMobil argues in its suit against Healey that the Massachusetts AG is acting out of political motivation, and there is no legitimate basis for the AG probes, and that the First Amendment shields the company from scrutiny for its public statements -- a claim that leading constitutional law experts sharply dispute, because it is a settled legal principle that the First Amendment doesn't protect fraud. In August 2016, fourteen attorneys general -- from Maryland, New York, Illinois, Iowa, Maine, Minnesota, Mississippi, New Mexico, Oregon, Rhode Island, Vermont, Washington, the District of Columbia, and Virgin Islands -- filed a friend-of-the-court brief supporting Healey, while eleven AGs -- Texas, Louisiana, South Carolina, Alabama, Michigan, Arizona, Wisconsin, Nebraska, Oklahoma, Utah, and Nevada -- filed a brief supporting ExxonMobil. On October 13, citing ExxonMobil's arguments, U.S. District Judge Ed Kinkeade issued an order permitting ExxonMobil to take limited discovery regarding attorney general Healey's comments and actions, in order to examine whether Healey served the CID in bad faith. Armed with this ruling, ExxonMobil, on October 24, served on attorney general Healey more than a hundred discovery requests. Exxon also asked Judge Kinkeade for permission to add New York attorney general Schneiderman as a defendant in the case, a motion the judge granted. On November 4, ExxonMobil sought depositions of Healey, Schneiderman, and two assistant attorneys general in each of their offices. On November 17, Judge Kinkeade issued an order directing Healey and Schneiderman to come to his courtroom in Dallas on December 13 to face depositions from ExxonMobil's legal team. On November 29, Exxon withdrew its deposition notice for Schneiderman; it continues to seek other discovery from Schneiderman's office, including depositions of two top environmental enforcement officials in that office. ExxonMobil also has subpoenaed in the Texas lawsuit some of the non-profit organizations and lawyers who have provided Healey and Schneiderman with information and expertise regarding the matter. Healey said she would "vigorously oppose" Judge Kinkeade's order for her to be deposed. "Our position in this ligation is that the authorities in Texas, and specifically the federal court down there, has no jurisdiction over state attorneys general and the work of their offices," Healey told reporters in Boston on November 21. "It's been disappointing to see Exxon fight the request for basic information. Our job as attorneys general is to be able to ask questions." Healey filed a motion asking the judge to reconsider his rulings. On December 6, 2016, Healey petitioned the United States Court of Appeals for the 5th Circuit for a writ of mandamus to reverse the order. On December 9, Judge Kinkeade denied Healey's motion to suspend Exxon's discovery in the case pending review by the 5th Circuit and also denied Schneiderman's motion to quash discovery. On December 9, Schneiderman filed a motion with Judge Kinkeade to stay discovery against him pending appellate review -- the same type of motion that Kinkeade had denied Healey earlier that same day. In his papers, Schneiderman said that he intended to seek mandamus before the 5th Circuit on December 12. On December 12, Judge Kinkeade issued a one-line order cancelling his prior order that Healey be deposed on December 13. The judge did not block any other discovery or indicate whether or when he would revisit the issue of deposing Healey. ExxonMobil's lawsuit is a virtually unprecedented effort by a corporation to sue and investigate state prosecutors who are conducting an investigation of that corporation. Although Judge Kinkeade stated that he found sufficient grounds for ExxonMobil to investigate whether the AGs had acted in bad faith, in fact the AGs have been engaged in activities that are commonplace and entirely appropriate for state prosecutors: (1) cooperating with AGs from other states, (2) consulting with experts about possible unlawful activity, (3) seeking documents to investigate that activity, and (4) speaking in public about the matters under review. To the extent that ExxonMobil has substantive and procedural objections to the attorneys general demands for information, it has every right to raise those objections in the Massachusetts and New York state courts, and indeed ExxonMobil is already doing just that. ExxonMobil now also faces an investigation from the U.S. Securities and Exchange Commission, initiated in August 2016, examining a similar set of issues. In addition, in January 2016, the U.S. Department of Justice, responding to a congressional request to investigate ExxonMobil, referred the matter to the FBI. Meanwhile, U.S. Representative Lamar Smith (R-TX), chairman of the House Science Committee, has subpoenaed documents from Healey, Schneiderman, and other state attorneys general, as well as lawyers and outside groups connected to the ExxonMobil matter. Over the summer, Smith held a committee hearing regarding his demands. For the most part, the AGs, groups, and attorneys have declined to provide any information in response to the subpoenas. UPDATE 12-14-16: The U.S. Court of Appeals for the 5th Circuit yesterday dismissed Healey's mandamus petition and motion for a stay of Judge Kinkeade's orders as moot, meaning overtaken by events. It's unclear how the 5th Circuit judges think Healey's claims are moot, when all Judge Kinkeade did was cancel the deposition of Healey set for December 13; he didn't expressly stop all the other discovery that was part of Healey's motion. However, when he cancelled the Healey deposition, Judge Kinkeade issued a separate order directing all parties to submit new briefs by January 4 on the issue of whether his court has personal jurisdiction over the two AGs -- suggesting he might be reconsidering issues in the case. UPDATE 12-15-16: This morning Judge Kinkeade has issued a one-line order: "The Court hereby stays all discovery pending further order from this Court." Coupled with his order Monday cancelling Exxon's deposition of Attorney General Healey, this represents a dramatic reversal by Judge Kinkeade of his unusual prior rulings favoring ExxonMobil. The reversal came after Healey had petitioned the U.S. Court of Appeals to block Kinkeade's orders (and of course after Trump's nomination of Tillerson increased public scrutiny of the matter). But this could be only a temporary reversal while Judge Kinkeade reconsiders some of the legal issues, including whether he has jurisdiction over the AGs in the first place.